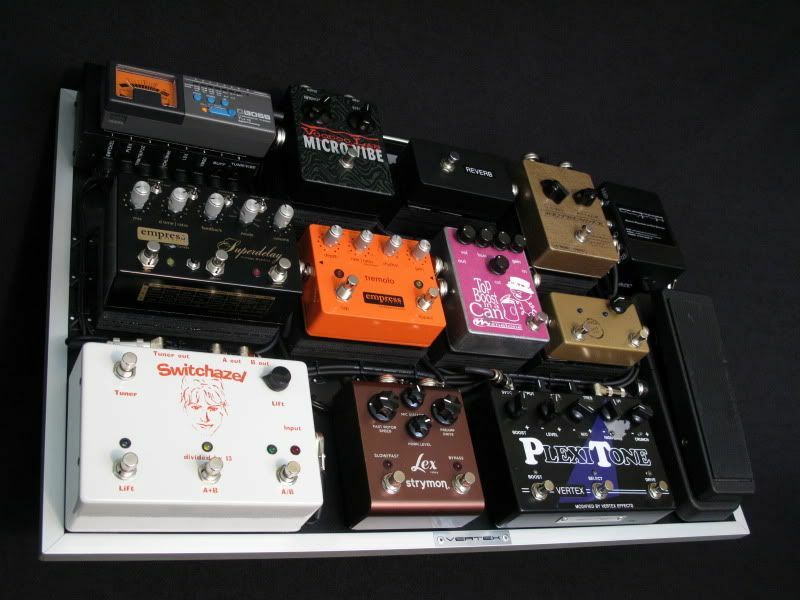 This is a board that I did for guitarist Mark Holley. 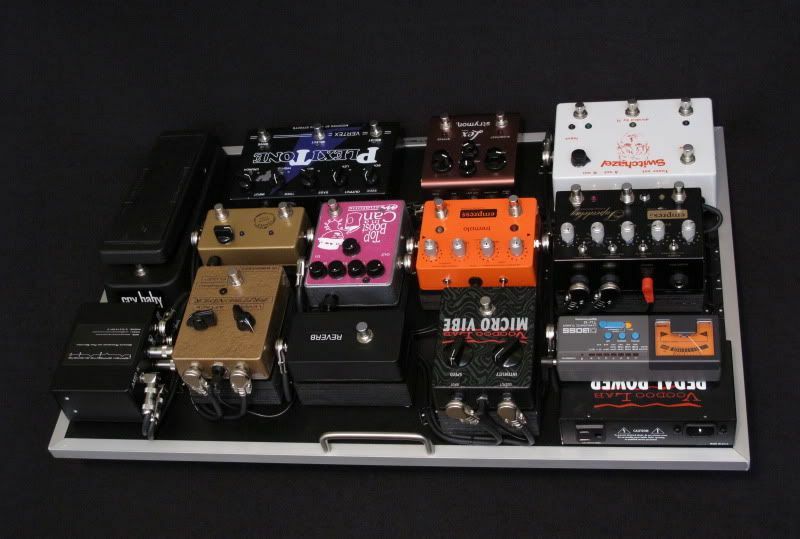 Mark is touring with Eric Martin (formerly Mr. Big) and wanted a board that he could use for the tour as well as is other projects. 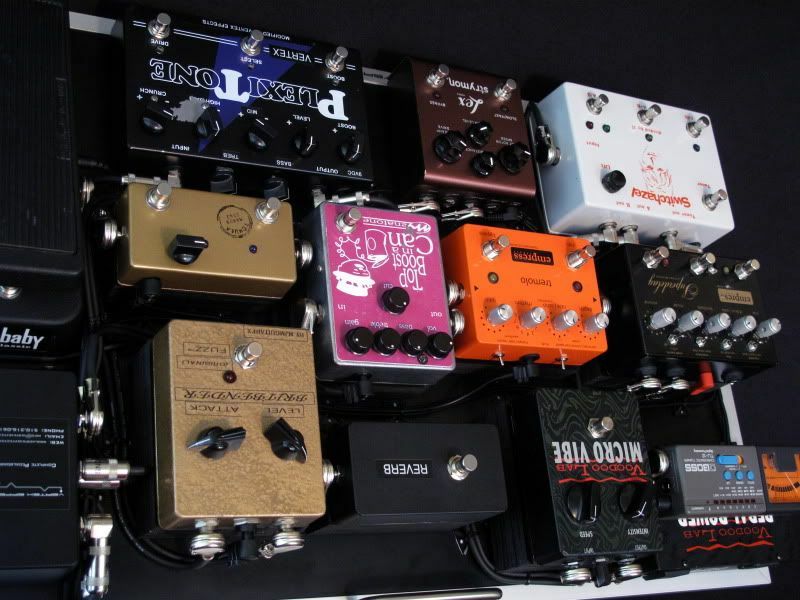 Vertex Tri-Buffer (input buffer, two output buffers), Effects Break-Out (to insert effects off of the pedalboard, but in the middle of the signal path between the distortion/overdrive pedals and the modulation pedals), and a Reverb Pass-Through to switch the amp reverb on/off from a footpedal on the pedalboard. *Reverb footpedal feeds trough the interface and switches the amp reverb on/off for a Divided by 13 amp that is part of the A/B set-up. 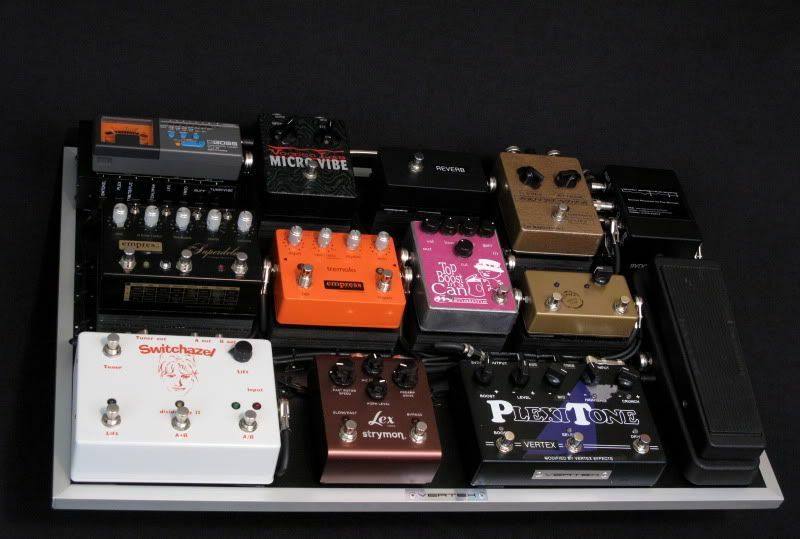 *Boss TU-12 tuner is run out of the Switchazel.